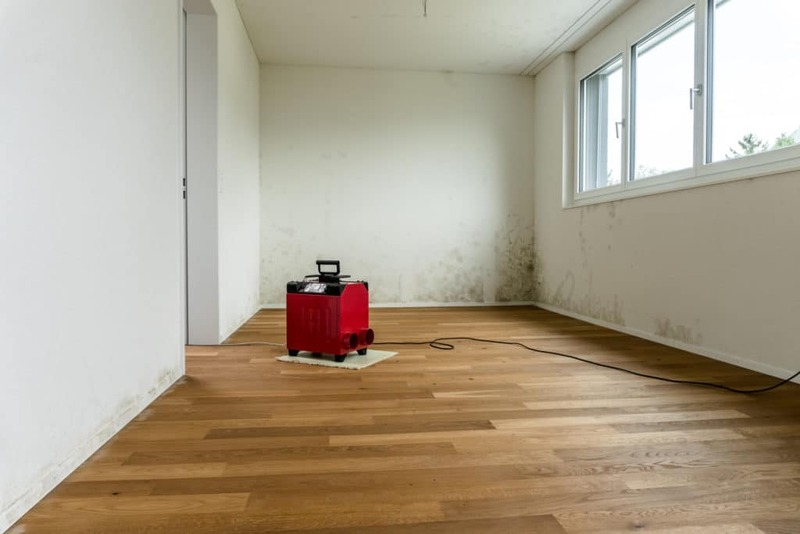 In this article, we give you the lowdown of the top 9 signs that you may need to buy a dehumidifier – so you can get on with tackling the problem as soon as possible. Does a Dehumidifier Help With Mold? When to Use a Dehumidifier? What Does a Dehumidifier Do for Your Health? appearance of beads of water or a fog-like vapour on the surface of the glass as ‘window condensation’. You will likely have experienced this on your bathroom mirror after a hot shower; but if it starts to appear regularly throughout the house, it is a sign of a high moisture level. 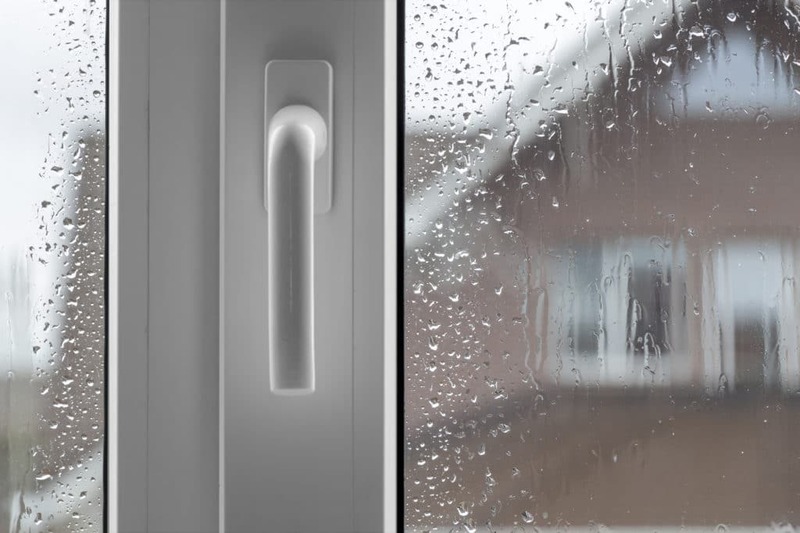 Not only does condensation prevent you from enjoying the view from your windows but it can also cause damage to the window frames, sealants and even seep into the walls. Dehumidifiers used in bathrooms will reduce the moisture content in the air, helping you prevent any further problems. If you begin to find your walls feel cool and damp to the touch, this is a serious sign of rising damp in the home. It can be caused by leaks, water ingress into the walls from outdoors, or previous floods which have seeped into the flooring. Further signs of this are stains and dark patches on the walls, which often look like tide marks. These patches are usually discoloured, appearing brownish-yellow, somewhat like a tea stain. Because this type of dampness often originates from outside or under the floor of your home, it is a source of moisture which you need to prevent from spreading. Dehumidifiers are good for damp because it can help you keep the moisture level in the affected space under control until you are able to rectify the root causes. 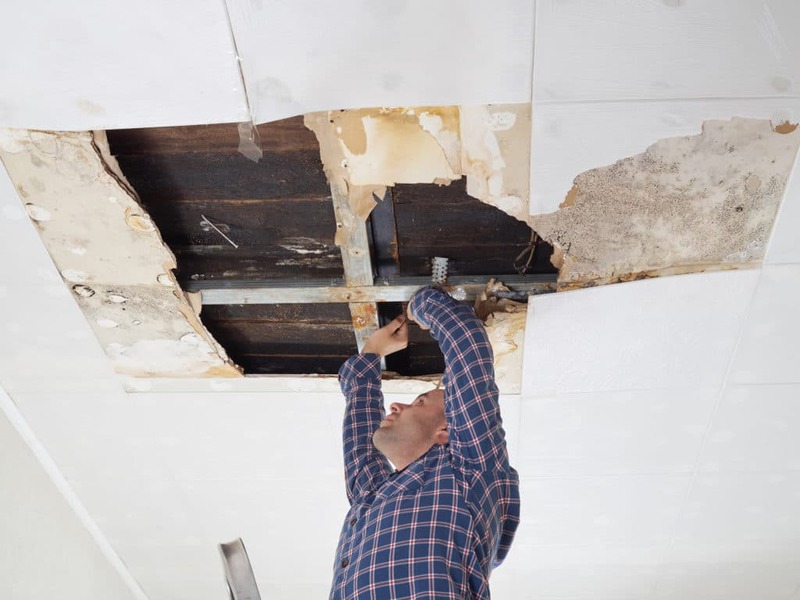 ceilings is a sure sign you have a high moisture level in your home. It is usually the result of repeated condensation; as the walls stay damp, they serve as the perfect environment for mould to grow. Mould typically appears as black spots on the ceiling, walls or around the edges of windows. It commonly grows in corners, but can be found anywhere there is persistent dampness. Unfortunately, mould isn’t just unattractive, it can be dangerous too. Mould releases spores, which when dispersed into the air, can be easily breathed in by you and your family members. These spores can cause breathing irritation, coughing, and even asthma attacks, especially in susceptible individuals. 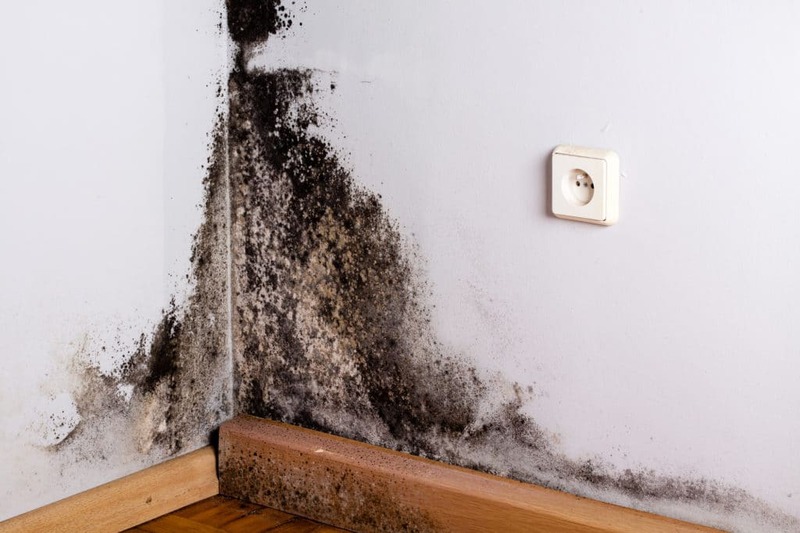 If you find signs of mould in your home, buy a dehumidifier because it can help reduce mould by extracting excess moisture from the affected space. If you can’t see any mould, don’t celebrate just yet. While black spots on the walls and ceiling are hard to miss, dampness and mould can also hide in less obvious places. In fact, a common sign of dampness and mould in your home is an unpleasant musty odour. Therefore, if you have noticed a musty or mouldy smell, you shouldn’t ignore it. It may be embarrassing, but covering up the smell with potpourri or air fresheners will not help in the long run. If left untreated, dampness and mould can quickly spread to other areas in your house, so you should take action to prevent its progress until you have the problem under control. Buy a dehumidifier and place it in the affected space. This is a great way to combat the issue before it gets worse. dampness in your property is bubbling paint and peeling wallpaper. This can be caused by either condensation on the walls or dampness within the walls themselves. If it’s a condensation issue, a dehumidifier can help you to dry out the air so that you don’t get any moisture settling on your walls. 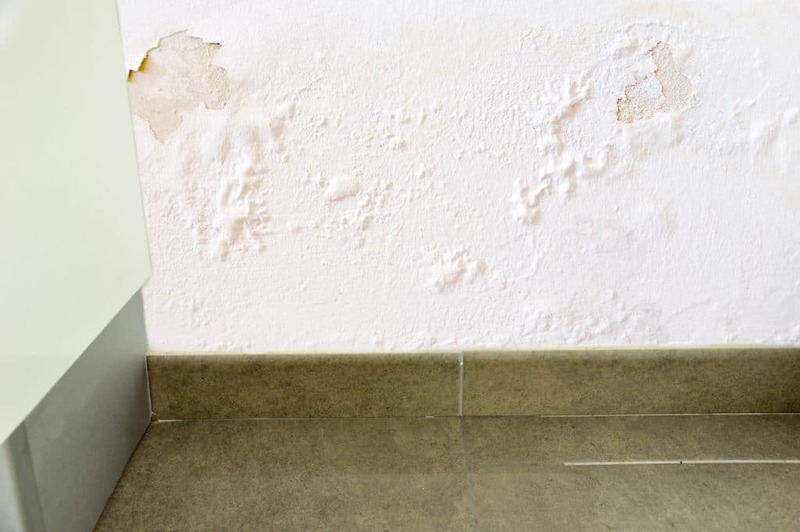 If it is caused by dampness within the walls themselves, this will need professional attention, but a dehumidifier can still help you to prevent further damage in the meantime. If you or your loved ones suffer from allergies, high humidity and dampness can exacerbate these, causing irritation and discomfort. This is because many common allergens, such as mould, mildew, pollen and dust mites flourish in humid environments. If you have young children, it is important to note that the presence of dampness and mould can also be a risk factor in the development of childhood asthma. For this reason, it is important that you attend to the problem swiftly, should you experience any of these symptoms. Luckily, the use of a dehumidifier can allay the risk of allergic responses by drying out the air. This makes your home environment less welcoming to allergy triggers. indicator that you have dampness in the home is rotten wooden furniture or structures. If you are suffering from wood rot, it may not always be immediately apparent. Unless the rotting has become very serious, many people do not notice the problem until it is far too late. However, there are a few simple signs which can help you spot whether or not you are affected. A clear sign of wood rot is the presence of fungus. Also, if you press your finger against the wood and it feels bouncy or spongy, this is a sure sign that the wood has rotten inside. In many cases, patches of rotten wood will appear noticeably darker or lighter than the areas around it. If the wood has been painted, bubbling or flaking paint will also indicate that something is wrong. Of course, using a dehumidifier will not heal wood that has already begun to rot. But it can prevent more wooden items or structures from suffering the same fate. If you have ever gone into a greenhouse or on holiday to a tropical country, you will have experienced a stuffy or ‘airless’ atmosphere before. This feeling of ‘no air’, or that it is thick and difficult to breathe, is a sure sign of high humidity – the presence of heavy moisture in the air. As we have seen, humid air can quickly lead to dampness and other related issues in your home. If you struggle with a stuffy atmosphere, a dehumidifier will strip the moisture from the air and make your home much more comfortable. favourite shoes out of the wardrobe, only to find mouldy spots on them, then this is a sure sign you have a damp issue. 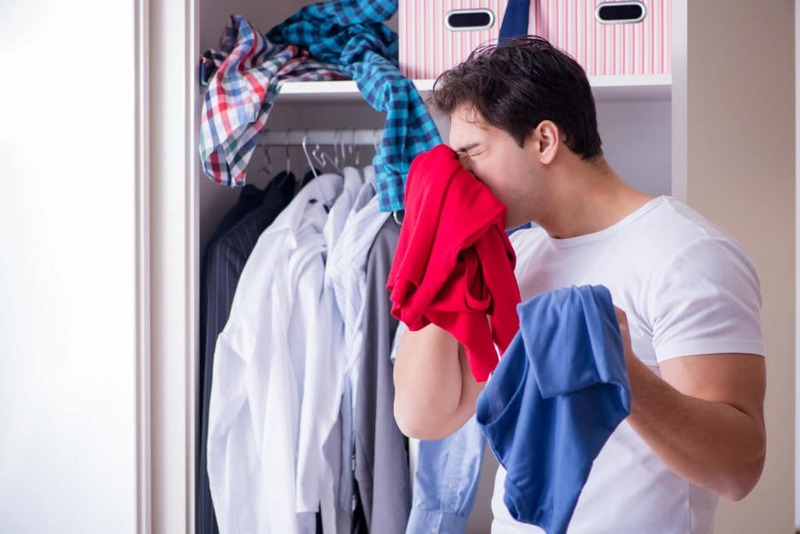 Musty smelling clothing is another clue that mould is present. It could be on the clothes themselves or hidden in the back of your closet. Either way, this is almost certainly the result of lingering moisture. Moisture could have reached inside your wardrobe due to humid air condensing, or simply because the wall your wardrobe is up against has dampness. No matter the cause, a dehumidifier can help. If you can, pull your wardrobe away from the wall to increase airflow, open the doors and place a dehumidifier nearby. This will dry out any moisture and prevent the development of further mould. Well, in many ways, a dehumidifier is similar to a vacuum cleaner. Dehumidifiers work by sucking in the damp air, extracting the moisture within it, and then blowing the dry air back out. The extraction of moisture is usually undertaken by means of refrigeration. Just like your kitchen fridge, the air which is sucked into the unit is rapidly cooled, condensing the moisture into water droplets which then drip down into a special water collection tray. This tray will need to be emptied every so often to ensure the water doesn’t overflow. Some models will have special indicators which let you know when they are getting full. Once the air has been cooled and the moisture is condensed and removed, it travels over a heating element which warms the air back up. This warmer and drier air is then blown back into the room. The cycle will continue as long as the dehumidifier is running. Many people find that the water collection tray fills up much faster once you first start using the dehumidifier, but slows down to a more predictable level once the humidity is under control. your home completely is incredibly difficult. Mould spores can remain in a dormant state for years, waiting for the environment to be favourable enough for them to begin to develop. Mould spores need moist, humid conditions in order to take hold and start to grow on your ceiling, walls, window sills and even clothing. Therefore, using a dehumidifier can help prevent these conditions from occurring. Once you have mould, using a dehumidifier will stop further growth, but it will not get rid of the mould that is already present. You will need to clean this mould off yourself. The best way to remove mould is by using a diluted bleach solution in a spray bottle. This helps to both kill the mould, as well as lift any stains beneath it. Spray the mould so that it is soaked in the solution and leave it to dry for about 10-12 hours. Then you can either use hot soapy water, or a specialised anti-fungal cleaning product to scrub the mould away. Once it has been eliminated, place your dehumidifier in the room to dry out the area you have treated and to remove any excess moisture. This will prevent mould from growing back. The benefits of dehumidifiers are that they are portable and lightweight. They can be moved around the room or house as required. But, do you know how often you should use it and how long for? Of course, if you have humid air in your home, the objective is to remove as much of the moisture from the air as possible to prevent damage and discomfort. The amount of time it will take to achieve this will depend upon how humid your home is, the size of your home and the strength of the dehumidifier you are using. The best course of action is to set up your dehumidifier in the dampest area of the room and leave it to run for a minimum of 10 hours a day. This should be long enough to ensure all the air in the room has been processed at least once. A larger space means that the process will take longer. We can call dehumidifiers ‘power-hungry’ as they use up a lot of electricity. So if you are worried about the electricity cost, you can find out when your rates per unit are lowest and run the dehumidifier during those times. You can usually find this information on your providers’ website or by looking at a previous bill. In most cases, lower electricity rates apply at night. Therefore, you can choose to run your dehumidifier during those times if this is a concern for you. level in the home is not good for our health. 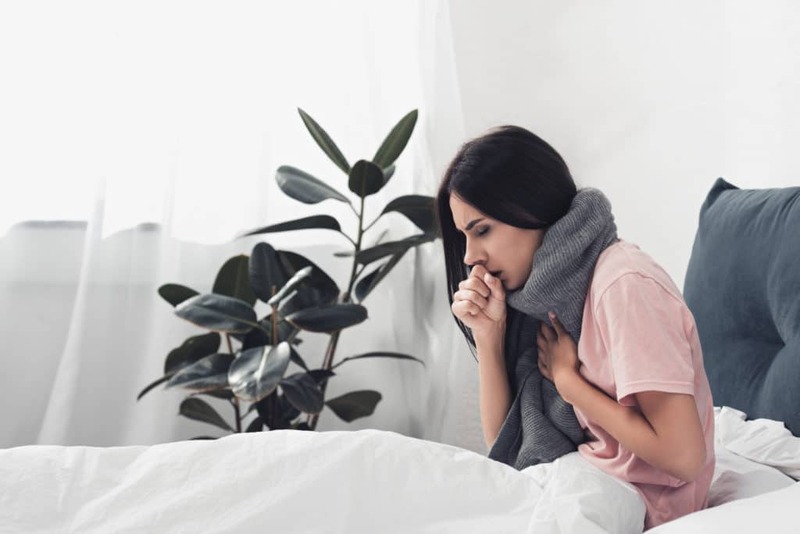 As mentioned previously, high humidity supports the growth of mould, which can trigger breathing problems, as well as asthma in young children. It can also affect foodstuffs, leading to stomach upsets and occasional sickness. However, humidity also creates an environment in which dust mites can thrive. These little microscopic mites are impossible to see by the human eye, but they are a leading cause of allergy symptoms and can further irritate the airways of asthma sufferers. Because dehumidifiers manage the humidity level in your home; we know they help to keep mould, mildew and dust mites under control. Thus, when you buy dehumidifiers, they can vastly improve your health and wellbeing. This is especially true if you suffer from allergies or respiratory discomfort which is exaggerated in damp conditions. Dehumidifiers are highly effective in improving the air quality in your home. They are relatively inexpensive, easy to use, and can be effortlessly moved around the house as required. So, if you’ve been asking yourself “Do I need a dehumidifier?”, the answer should now be very simple. If you suffer from asthma, allergies or any of the above signs of dampness in your property – the best dehumidifier is just what you need to buy in order to make your life more comfortable. Are Dehumidifiers Cheap to Run?